To Say Nothing of the Dog is the second book in a series. It's sort of a sequel, but each book is a standalone novel. There are also huge differences in the general mood of the books. Some characters from Doomsday Book reappear. Most don't. 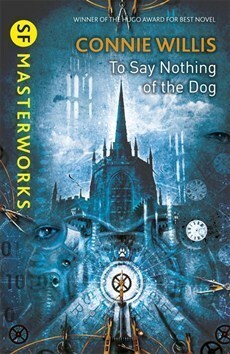 The start of To Say Nothing of the Dog is actually quite similar to that of Doomsday Book. We're back in the world of academics and time travellers, and the book starts once again with a heavily disoriented person semi-hallucinating their way through a tricky environment. This time, the disorientation is the result of time lag (like jet lag, I guess), rather than fever / infection. Characters once again have a habit of talking past each other. Few people listen, everyone talks through their own concerns, completely self-absorbed, barely paying attention to the other half of each dialogue.This, too, is a hallmark readers of Doomsday Book will be well familiar with. However, things quickly stabilise and take a completely different direction. This is not a book about disease, peril, and tragedy. Instead, it is a light comedy, heavily inspired by Three Men in a Boat, Jeeves and Wooster, Agatha Christie Mysteries and Shakespearean comedies of errors. Soon, people actually listen to each other and work together in ways that hardly anyone in Doomsday Book ever does. If I'm perfectly honest, To Say Nothing of the Dog was a little boring. I could see the wry wit and the genteel bemusement that infused the entire book, but it was not the sort of humour that makes me guffaw. The plot, meanwhile, never built up a sense of genuine peril. Doomsday Book was a novel of gut-wrenching tragedies and terrible horrors. To Say Nothing of the Dog is a novel of light entertainment. It doesn't have the biting wit of Oscar Wilde, but a more mellow sense of lighthearted affectionate cheer. 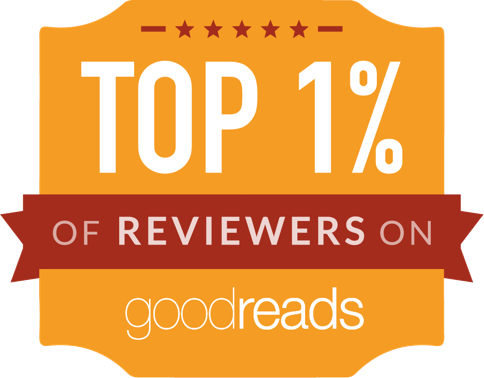 It also felt like a novel which might require people to be familiar with a lot of works to fully appreciate it. I could see, obliquely, what was being referenced, but felt quite ignorant as I suspect a lot of details passed me by entirely. So, if you are familiar with, and a big fan of, Three Men in a Boat, Jeeves and Wooster, and that entire genre of work, then you might adore this book. It pays homage and doffs its cap and generally adores those works, too. It's fuller of references than a Pixar movie, while being tonally quite similar to those works (I assume). If you're looking for slightly darker humour (personally, I prefer the Ladykillers / Arsenic and Old Lace / Kind Hearts and Coronets type of chuckles), then you may be a bit disappointed. And if you expect anything like Doomsday Book, you'll be in for a surprise.